Prayer is in essence a fancy word for conversation and connection with God. Teaching kids to pray can be tricky, but you can do it. A few friends and I had a conversation about this not too long ago. We talked about the challenges of it and the frustrations that go along with it. For example, when teaching a young boy to pray at bedtime, what do you do with silliness? Or how do you get an elementary aged girl to open up and actually pray more than a sentence? What do you do when they start rambling? Is it okay to thank God for Ironman? 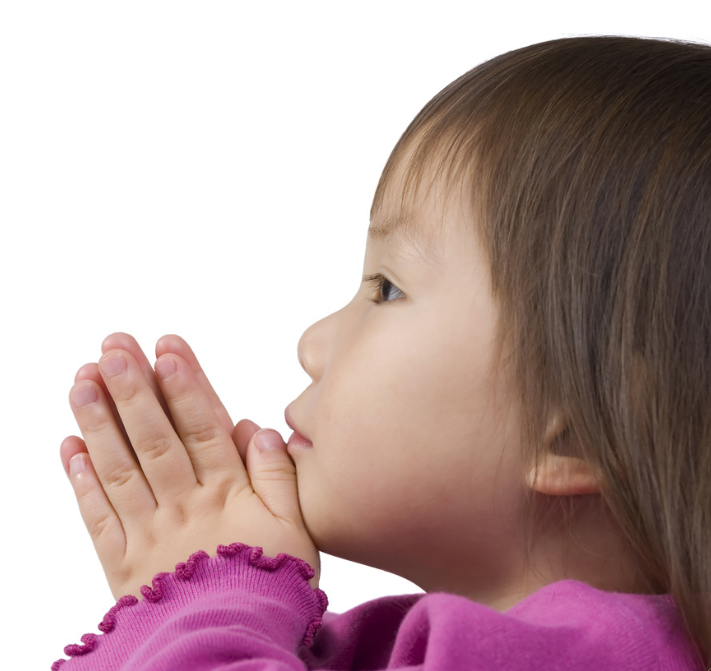 Is it even possible to teach kids to pray? I believe it is even though I also am challenged with it at church as well. I love to see kids pray out loud even when they are tentative! When I was in driver’s education I had an instructor. One of the things he taught us was to have verbal diarrhea. In other words, talk about everything you see as you’re driving down the road. Be aware of your surroundings. Be alert. This mindset can be helpful with prayer. Sometimes we just need to get the ball rolling. Creation is a great place to start. Go for a walk and have kids thank God for everything they see. Then have them come up with things on their own to thank God for. Teach kids that the most important connection they have is not you or their friends, but God. Tell them they can talk to Him anywhere, all the time and about anything. Model it. Kids need to see you pray silently on your own and out loud in front of them. How you pray teaches them the kinds of things they can say. It also teaches them that it’s really important to you and should be to them as well. When they’re young, anything goes. The point is to get them praying. Don’t worry too much about some of the strange things they may say. Children are very sensitive and if you are too much of a critic they may view God also that way and just quit when they can’t measure up. Be patient. Sometimes as parents we want kids to get what we’re teaching quickly. Don’t forget that it’s a process and will take time. Do you have prayer all figured out already? Give grace and don’t be easily frustrated. Shape the dialogue as they mature. As they age, help them to think about what they are saying, why they are saying it and who they are saying it to. Give them a sense of who God is. Teach both reverence for God as King and intimacy with God as Father. Kids need to respect God, but also know that he wants them to come to Him like they go to a loving daddy. Be consistent. Just pray a lot. Make it part of your moment by moment living. Be aware of God constantly and verbalize it in front of your kids. Be a prayer coach. Prompt your child with what they can say. You will need to give them lots of ideas. Show pictures of things like a cross to remind them of Jesus or friends, family or missionaries to help them pray for others. Base prayer on Scripture. Prayer without using the Bible is very difficult! Start with a Bible story or verse of wisdom or the character of God, then you will have lots of things to say! How do you teach your kids to pray?